Adam was hiding because he and Eve disobeyed God. He knew they had done something really wrong and he knew that they were in God’s badbooks. It’s not that God was angry with them, its that they choose to disobey God and jeopardise their friendship with God. Not a good choice! Something was terribly wrong; they were no longer friends, they were afraid, and they knew they were naked. Never before was there a reason to be afraid, nor had it ever occurred to them that they had no clothes on. There is a big secret here. Before they had ruined their friendship with God, God’s presence was so awesome it took all their attention. It’s a little like a lover gazing into the eyes of their beloved. Love drew their gaze towards God and all that is good, and they were never afraid. And they never knew they were naked because they never looked (they were always looking at God)! Unfortunately, Adam and Eves sin took all that away. What happened is that they told God to go away by their bad choice. ‘We don’t want you, we prefer the lies of the serpent.’ So, God went away, and they could no longer see God (their minds no longer wrapped in the vision of God). Lacking Gods awesome presence—that made them think only about God—they started thinking only about themselves! The original sin was such a big boo-boo. Have you ever done any public speaking? You become afraid, self-conscious, and aware that you are vulnerable. It’s a bit like being naked, perhaps. Being aware of the lack of integrity that God wanted to clothe us with is caused by the original sin. We feel naked as without the immaculate clothing of God’s grace we tend to think about ourselves, and not about the things of God. Now do you think Jesus thought about himself? Tricky question. He did, but never in a selfish way. “I want this, I want that” …NO! Jesus was all “God wants this, God wants that!” God was never lost to him because he is God. Because she was to be the mother of God, Mary was spared from the consequence of the original sin. Our awesome God was always present to her. In everything she did she always saw the good that God had created in the world. She always wanted to please God. She was Immaculate, without the blemish of the original sin. This is called the Immaculate Conception. It is only fitting that the mother of God be created without sin. 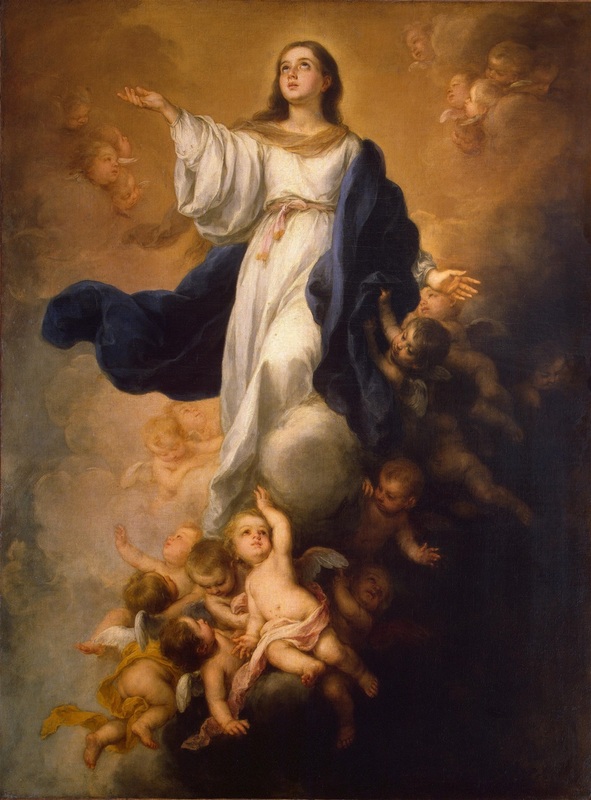 Mary was spared from sin and created Immaculate right from her conception so that she could be the mother of God who is sinless, totally pure and divine. A story that started off badly with Adam and Eve, ends in a beautiful story about Mary and Jesus. Let us ask their intercession that we may reject sin and become Immaculate like them. Heavenly Father, we ask you that through Mary’s prayers we may come to you cleansed from all sin. Amen.